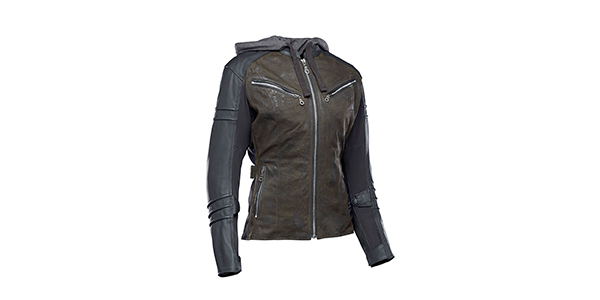 The Speed and Strength women’s Street Savvy leather and textile jacket features a nomadic look for today’s urban riders. Combined leather, waxed cotton canvas and AR500 stretch frame provides an articulated outer shell construction with an internal removable hoody vest liner. C.E. approved protection is provided in the shoulders, elbows and spine and can be removed.